Though one may say that love is to be celebrated everyday and not just one, lovers cherish the fact that there is exclusively a day that celebrates love and lovers and provides opportunity to pamper their beloved with love. Join this group to share in the Valentine's Day spirit! Valentine's Day is a festival that cherishes love and romance. It is a day we celebrate love in all its forms and is not just restricted to romantic love but encompasses everyone we love. 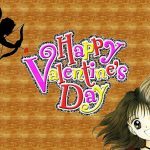 People therefore exchange Valentine's Day cards, flowers, and gifts with their friends, spouse, parents, children, teachers, sweethearts, or anyone they find dear and express their love and affection for them. ♥ More than 36 million heart-shaped boxes of chocolate are sold for Valentine's Day each year. ♥ About 8 billion candy hearts will be produced this year; that’s enough candy to stretch from Rome, Italy to Valentine, Arizona 20 times and back again. ♥ About 1 billion Valentine's Day cards are exchanged in US each year. That's the largest seasonal card-sending occasion of the year, next to Christmas. ♥ Worldwide, over 50 million roses are given for Valentine's Day each year. Page rendered with 6 queries (and 0 cached) in 0.059 seconds from server 48.